Editor’s Note: This review is based solely upon the Halo 5 campaign as the writer has focused a large portion of their time to the games campaign in order to bring an in-depth review of it. This review will contain slight spoilers, so please read at your own caution. The multiplayer portion will find itself with a dedicated review as well due to the size of it and how ever-evolving it is. Thanks for your understanding and we hope you enjoy the read. Ever since the game’s announcement at E3 2013, Halo 5: Guardians has easily become one of the most anticipated games to launch on Microsoft’s Xbox One console. With eyes having been drawn to the title, there is a lot to be responsible for when it comes to a Halo title such as a solid story, a solid online component and a powerhouse combination of musical compositions as well as a graphical prowess that will set the game above all the rest to date. 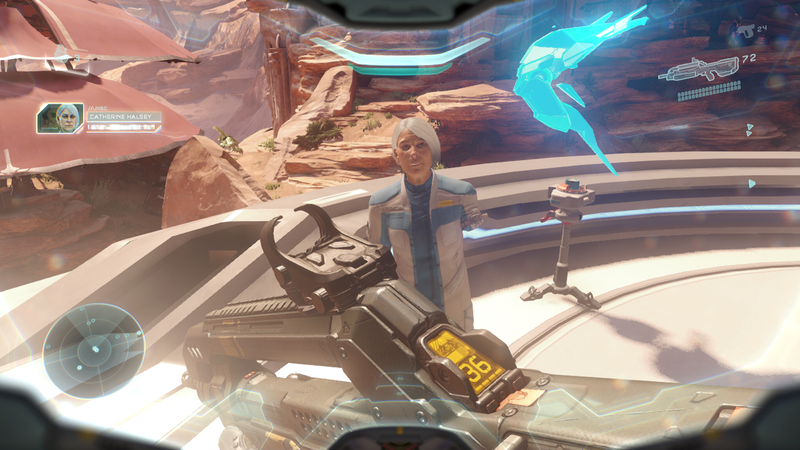 We were given the idea that the game will utilize much of the Xbox One’s capabilities in order to bring a combination of graphical capabilities as well as the consoles non-gaming capabilities in order to bring a rather social experience into both an online component as well as a solo experience for those that don’t want to head into the online component regardless if it’s campaign or even in the regards to a solo experience. The question for 343 Studios would be unrelentingly reasonable: Where could Halo go after the events of Halo 4 where John-117 witnessed the death of Cortana after she became hardlight in order to see him and touch him as she had always wanted to do so? As Halo 5: Guardians unveils its introductory scene, we are introduced to two Spartan teams. One team consisting of a squad of newly made Spartan-IV’s known as Fireteam Osiris. This team consists of former ONI assassin Jameson Locke (you may remember him from the Halo 2 Anniversary, blurs new comic books, and Halo Nightfall) along with Halo 3: ODST’s Edward Buck as well as newly created characters Olympia Vale and Holly Takana. As for Master Chief’s Blue team? You’ll get to see three very familiar Spartan-II’s that have been rather absent from the games till now – Kelly-087, Linda-058, and Frederic-104. The opening setting is simple as Fireteam Osiris is dispatched in order to rescue Dr. Catherine Halsey, the very person responsible for the Spartan Program, while Blue Team is assigned to secure a derelict research ship in order to prevent it from being discovered by The Covenant. 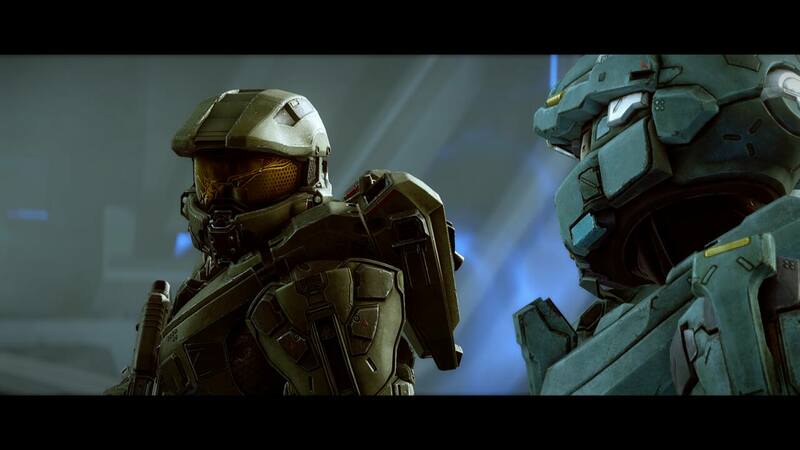 As you can imagine, it’s there that chief begins to defy orders from the UNSC and sets off on his mission to investigate a mysterious message from a voice that will be all-to-familiar to long time fans of the franchise. As the UNSC learns that Master Chief has gone rogue with Blue Team in tow, Spartan Locke and his Osiris team are ordered to bring John-117 back by whatever means necessary. Unlike previous Halo titles, Halo 5: Guardians begins to become a downward spiral from here, and seems to be a bit more organized than Halo 4 as 343 Studios was wise in ditching the all-too-familiar hidden backstory through terminals throughout the game. While there are datapads, journals and other hidden items; they do not play a large role within the game as they would have in previous titles. Instead, it became hard to follow the game’s narrative prioritization as the game widely focused on several overlapping arcs. One widely consisting of a hidden Promethean planet by the name of Genesis, which has unfortunately become the secret operating base of the games new ultimate villain as well as the franchise’s newest annoyance only known as the Warden. From there the Chief defies orders and sets off to investigate a mysterious message from a familiar voice, and Locke and Osiris are ordered to bring him in by whatever means necessary. Halo 5’s story is less scattered and confused than Halo 4’s, and 343 has wisely ditched hiding important backstory in terminals scattered throughout the game. But I was often confused by the game’s narrative priorities as the two overlapping stories began to overlap and interweave before once more splitting apart. This ultimately is what made the campaign difficult to understand and truly enjoy outside of beautifully crafted landscapes and a musical score to accent it. The game itself consists of rather carefully crafted cinematic experience that seems to display its self-preserving bravado with a rather unsuspecting score that helps highlight those thematic queues in order to help us understand what responses that 343 Studios wanted out of us. With these changes there are subtle changes to sound effects as well as designs for weapons across the board, but also even infamous musical arrangements we’ve come to know and love in past titles. While this is great and all it doesn’t help to understand several of the games occurrences that do seem to happen without warning such as why Blue Team would follow their “brother” John-117 into defying UNSC orders in order to go follow a transmission John himself received from a source that is all-too-familiar, but also why their bonds remain so strong between each other all the years later. While it’s hard to not acknowledge that they are family, it’s hard to understand why they would follow him when such a strange transmission happened and why didn’t they just report this transmission to Captain Lasky in order to better their resources so that they may combine their efforts to find out why this transmission is happening this way. Instead? We’re taken on a wild goose chase with Blue Team as they defy orders and become hunted by Fireteam Osiris. While the story for Blue Team is mediocre at best there are a few creative decisions that are glaringly problematic. One of the larger story issues is the time spent during the Sangheili Civil War to the extent that it almost felt like it was impeding upon plenty of chances to bring forth larger narrative and even character development. 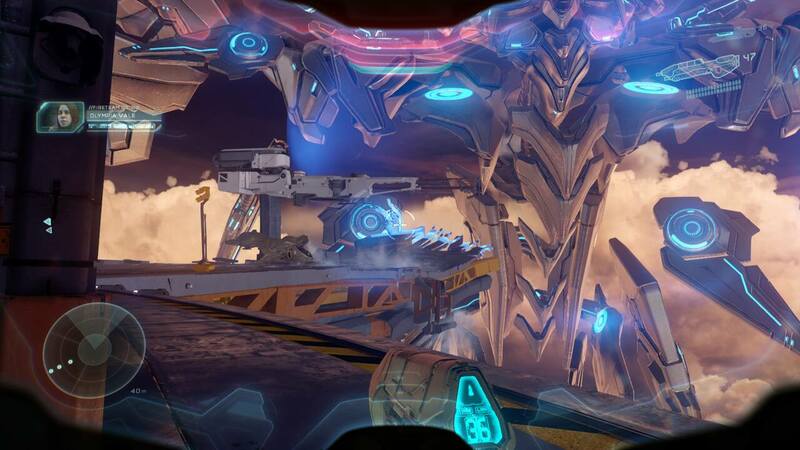 While it was nice to see the return of the Sangheili and their leader the Arbiter, the two hours spent on this mission in Legendary felt as if they were filler, unimportant, and ultimately made of poor creative direction where-as the time could have been spent with enemies such as the Promethean enemy Warden, the planet Genesis, and even as to why the Prometheans are still playing a huge role within the game’s story development. Afterall there is the large fact that Halo 4 gave the team plenty of story loopholes to fill in as well as ones to work with in order to bring forth a larger story. While I know it seems I have complained this entire time, take note that these are creative criticisms, flaws that have been overlooked and are criminally painful in the long run of things and leave quite a few answers to remain unanswered. While the adventure has its solid moments there are a few mechanical flaws that make this game almost impossible to enjoy. One of them is the painful A.I. that makes difficulties such as Heroic and Legendary almost impossible to enjoy when it comes down to playing solo for the Lone Wolf achievement for those that are attempting to hunt it down in order to achieve their 100% completion that they may seek in the long run. While the A.I. does attempt to be helpful there are a few outstanding issues that could have been kinked out before the game’s launch. Many players like myself have found the A.I. at times is unresponsive in combat, during revival periods and even seems to be horrible at taking commands when they need to be taking them. While this problem could easily be fixed by better programming or something of the sort, the A.I. is a dying light against what the experience is like when having a fellow Halo fan to play with. Thankfully this is fixed via the game’s cooperative matchmaking system and will allow for fans to team up together in order to purge their experience of such a horrible A.I. While there are those glaringly large problems to be looked upon there are things that the game does right. With the game 343 Studios promised larger, bigger battles and an overall cinematic experience. With that promise came a delivery and the landscapes aren’t just gigantic, they aren’t linear, they don’t leave players dwindling over an edge when it comes down to hidden areas, breakable walls or even terrains that will offer tactical advantages whether players utilize the new spartan armour abilities or just plain firepower. 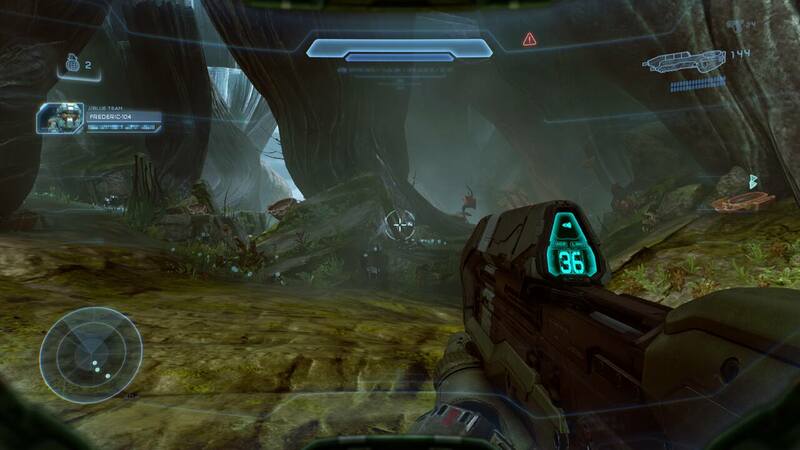 One of the best representations of this is during one of the game’s largest battlefields on Sangheilios where players will find themselves using high perches in order to get clean shots on enemies and even obtaining weapons such as vehicles, fuel rods, turrets and the fan favoured Beam Rifle. While many players will take note that each weapon does offer ADS (Aiming Down Sights) this is a feature we will discuss in-depth when we get to our multiplayer review coming later this week. While the campaign itself was enjoyable it seemed short, loop-holed, and at times rather weak due to the focus on Fireteam Osiris versus a fair-share of both teams as well as the capability of using background characters such as Sarah Palmer, Dr. Halsey, Thomas Lasky and even Infinity’s own A.I. Roland who remains as ever faithful and even a voice of reasoning when Buck isn’t around to remain that human-like character that is able to reason and question motives behind what is happening. The only thing that can be left to guess? Spartan Ops Season 2 would be a splendid thing to have as it would give us more idea of what’s going on behind the scenes and would even offer a story-fill-in where the plot holes have been carefully plotted. As we already know from the ending scene of Halo 4, there are a lot of Spartan-IV’s on Infinity, so why not give us a bit more detail behind their activities? Till then? We have more answers than questions since Halo 5: Guardians since the game is almost three fourths completed when it finally begins to find a steady pace. All we can say? We have a lot to look forward to with 343’s lead design on Halo as a franchise and we certainly hope that they do take a few notes as to story, narrative and content design as Halo 5 has plenty of it but not enough to satisfy those wanting a long stay with a campaign driven title. 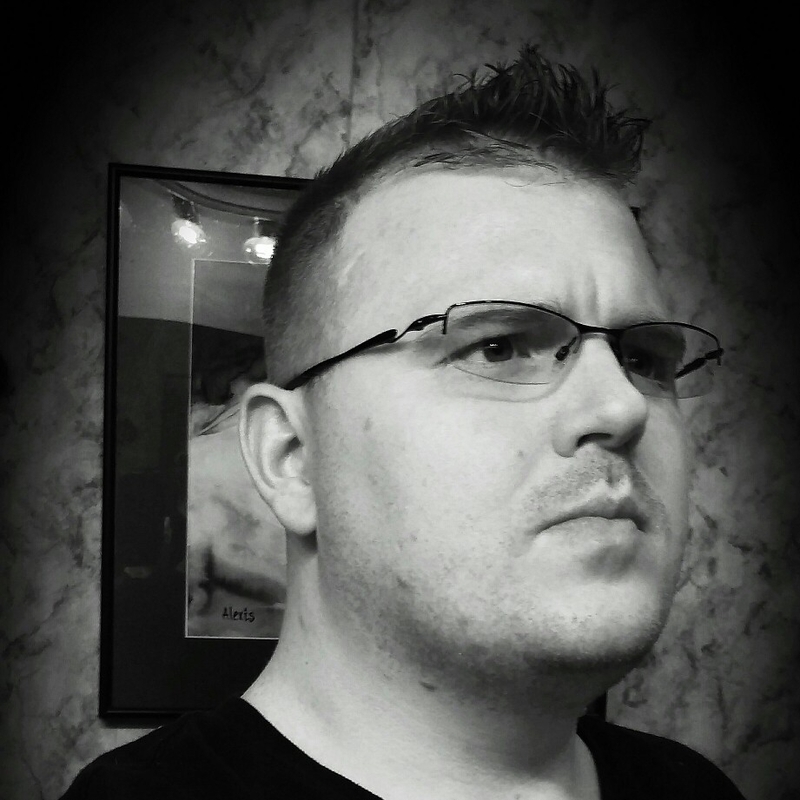 Our review is based upon the final version that a team member purchased. For information about our ethics policy please click here.